It was one of those incredibly rare moments in life which makes you feel like truly one of the elite. Stretched out by a lavish outdoor pool surrounded by romanesque arches lined with towering palms, I had the terrific weather and a sprawling pool deck completely to myself. Arizona is known for it’s terrific weather, and there is something about the combination of a brilliant blue sky and the warmth of the desert sun which induces a state of happiness and relaxation like no drug ever will. Though with the expansive grounds to myself, the day was even more beautiful, allowing me to indulge in fantasies of living the high life; a life of the rich and famous where secluded decedance and private luxury retreats with mountain views are part of the normal everyday. A lavish pool all to myself. Living the high life. Stretched out by a lavish private pool. The hotel was fully booked, yet we had the beautiful grounds completely to ourselves. Everyone was in town for the Tucson Gem & Mineral Show, though we were in town for a romantic retreat – a break from our day to day in Phoenix, and an opportunity to explore Tucson & her beautiful surrounds before leaving the State for our next big adventure. 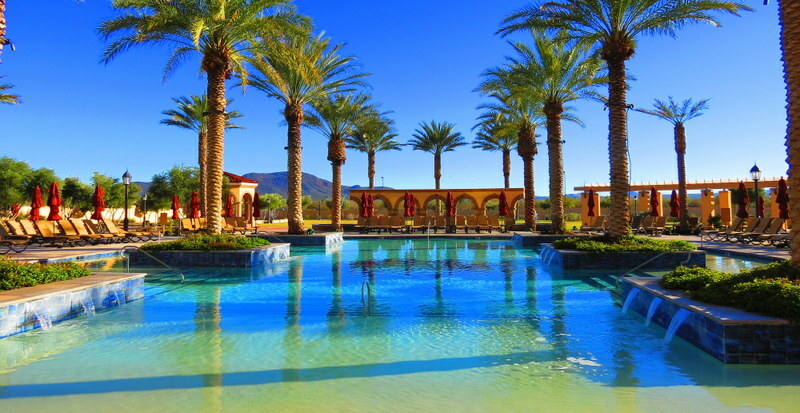 Though despite the Casino Del Sol’s fantastic location close to many of Tucson’s main national parks and outdoor attractions, the hotel grounds were truly too enticing to leave! Think six restaurants and three bars which feature live entertainment Thursday – Saturday nights, as well as a world-class spa and golf course and the expansive pool and outdoor Jacuzzi we had completely to ourselves, and you probably won’t blame us for not wanting to leave. There was even a tequila factory onsite! 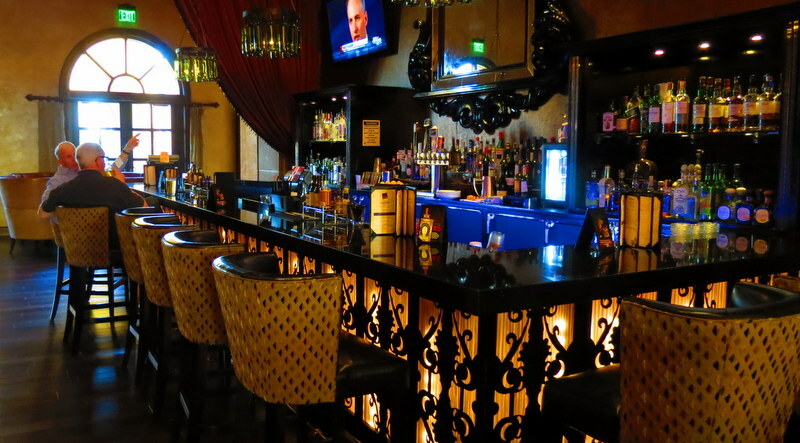 Casino Del Sol Prema Bar – one of 3 beautiful hotel bars. 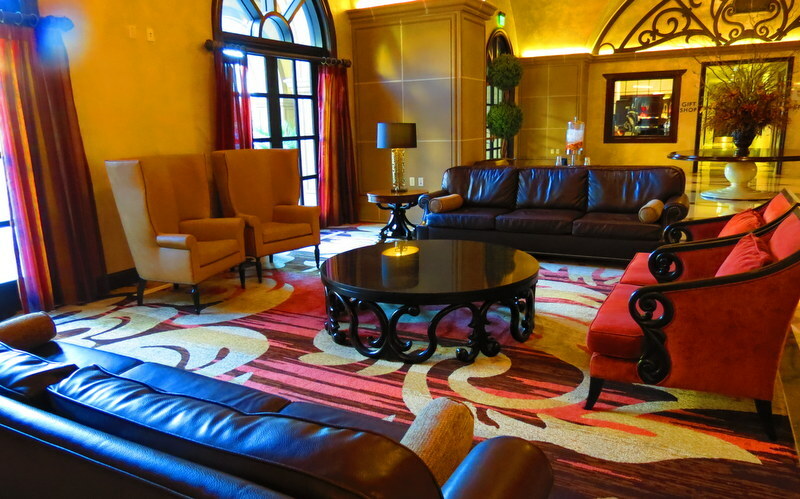 The Casino Del Sol is southern Arizona’s premiere entertainment and gaming destination. It offers nearly 1,000 slot machines, live blackjack, poker and bingo, and while we’ve never been huge gamblers, the casino itself reminded us of the Venetian in Vegas with it’s mesmerizing cosmetic domed sky. It was an attraction in itself exploring the Casino’s many different halls, though the property truly is so much more. Towering 10 stories above the Tucson desert, our accommodation was truly elegant. Booked into a standard King, the incredibly spacious guestroom was nothing short of spectacular – 420 square feet of warm desert colors to match the beautiful mountain view, plush furniture which included a beautiful sofa overlooking the Sonoran Desert, and exquisite amenities which ranged from an Egyptian cotton triple sheeted bed to a 42″ flat screen HDTV and a Keurig self-brewing coffee system. The large work area with beautiful wooden computer desk was another large perk on-top of the free WiFi, and the bathroom was just as luxurious as the room itself – a glass-enclosed travertine tile shower with raindown shower heads and a water pressure so amazing you didn’t want it to end. 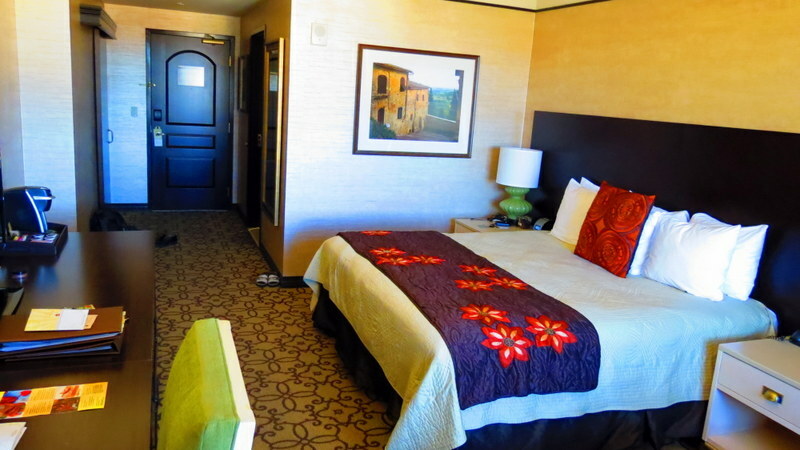 Our room – the Casino Del Sol. 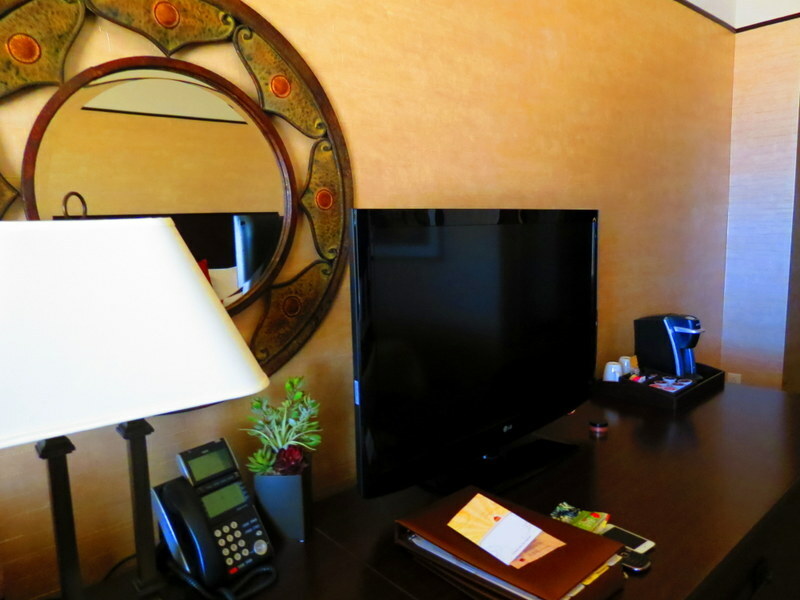 Our room -spacious, luxurious and inviting. This became a running theme of our time at the resort – never wanting the experience to end. It was never wanting the sun to fully rise because the way it hits the mountains is more beautiful than any view you’ve ever seen in your life. It was never wanting the gem & mineral show to come to an end each day to lose the extravagance of my private pool. It was never wanting to wake up covered in anything other than Egyptian cotton ever again! 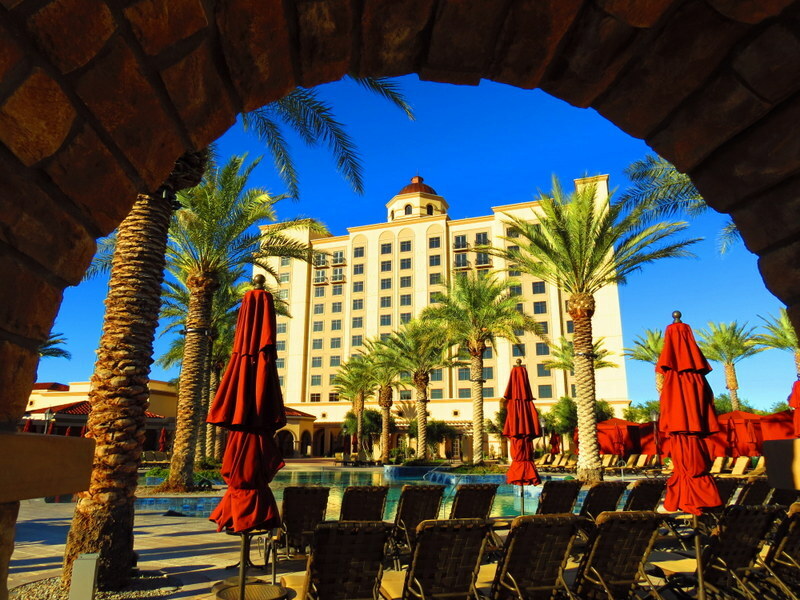 The Casino Del Sol Resort far exceeded our expectations. Every guests need, want, and expectation is far exceeded in this intimate resort property that blends the best of leisure and business in a fun yet sophisticated atmosphere. From the lobby to our guestroom, and each of the 6 restaurants and bars, the elegance and attention to every smallest detail was second to none. But then again, you can’t really expect anything less from a resort which has won a 4 Star Award from Forbes Travel Guide, a Four Diamond Award from AAA, countless TripAdvisor Certificates of Excellence and a Certified Green Accreditation from the Arizona Lodging & Tourism Association. 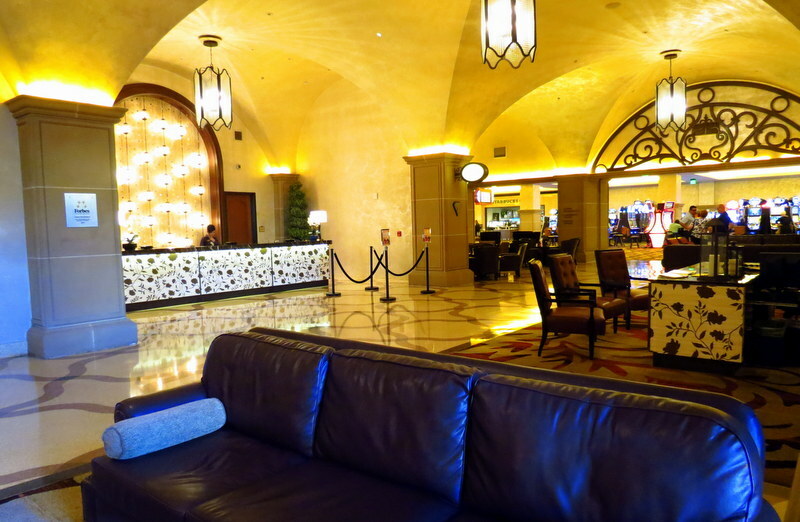 The hotel lobby. Spacious, clean, full of light, and absolutely beautiful. 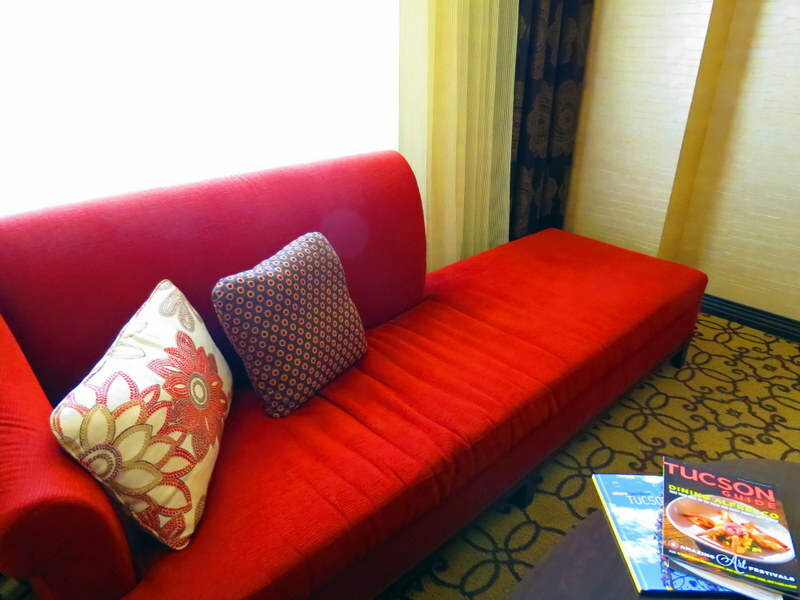 Plush spacious seating for guests in the hotel lobby. This was our first stay in a Casino property owned by a Native American Tribe, though we’re now wondering why we hadn’t sought out similar accommodation sooner. The standard of excellence all across the board in terms of accommodation, amenities and the high standard to which they obviously hold their staff was truly out of this world. 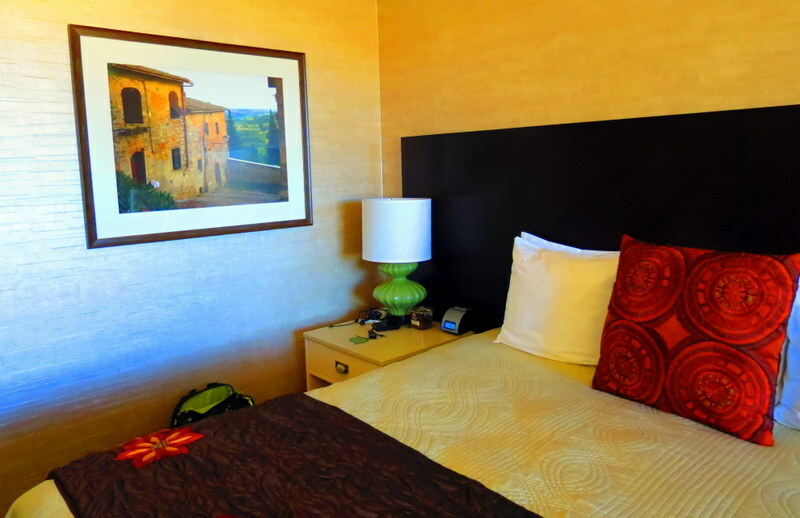 Our stay at the Casino Del Sol in Tucson was a fantastic escape from reality, and for two days we truly felt as though we were living like two of the elite. Hear about new posts on Facebook: Please “like”! 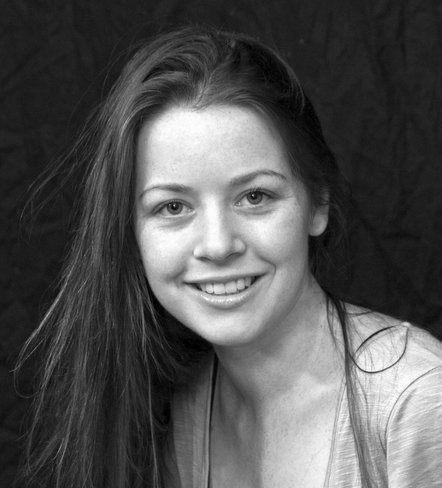 Meg Jerrard is an Australian Journalist who has been travelling and blogging around the world for the last 7 years to inspire others to embark on their own worldwide adventure! 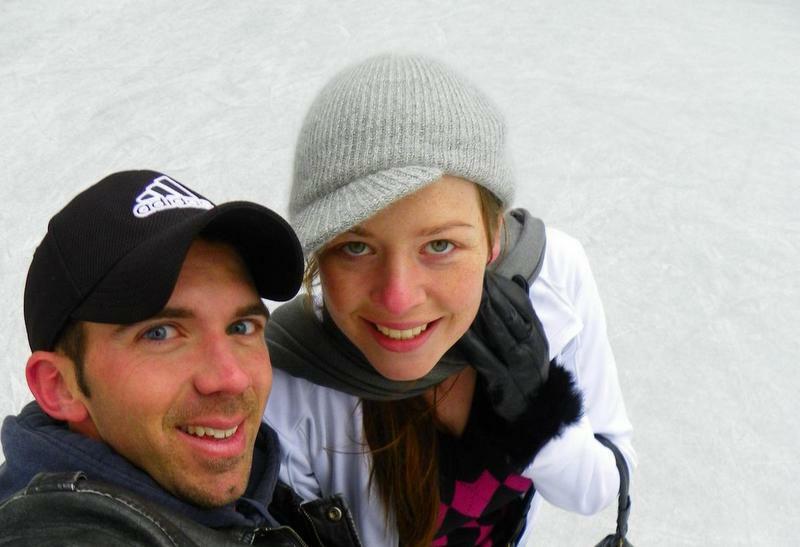 Her husband Mike is an American travel photographer, and together they have made the world their home. Follow their journey on Facebook, Google+ and Twitter. All those pillows… I bet that bed was comfy! And the setting of the room is beautiful, it’s simple, nothing too much, just like it should be. And that empty pool… I bet you guys must have enjoyed that! Perfect for your romantic retreat! It was so insanely comfy :D! We were really impressed by the overall simple elegance of the whole property – nothing too much, but incredibly classy all over. And yes, the private pool was OMG amazing :D! Too bad that doesn’t happen everyday! I’m always curious about what it’s like to be rich. This would be a fascinating opportunity to gamble, relax and have fun in their inner circles! It’s so nice to stay somewhere and be pampered. That bed looks like you would lay down and not ever want to leave! Oh my . . . now that is luxurious. I love all the bright colours in your room! Not normally something you see in such swanky places, usually more neutral tones. At least for me. But I rarely step foot in such fancy places ;P I’d love to kick back here! Well, if you find yourself in Tucson, I highly recommend the Casino Del Sol! After reading this I want to stay here!! You made it sound so amazing Meg. I love how you said you never want to wake up surrounded by anything other than Egyptian Cotton again. Crazy that some people really say it and mean it because this is every day for them! haha! 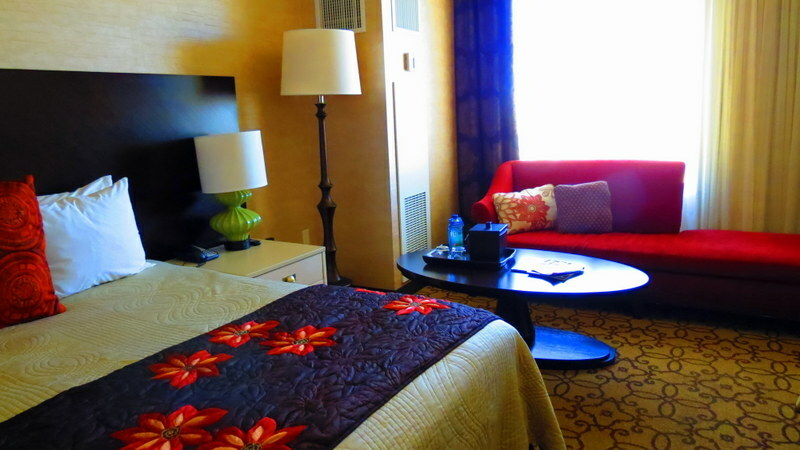 I’m so glad – seriously, it’s easily the most amazing accommodation in Tucson, so I highly recommend a stay; we absolutely loved it and were so disappointed when we had to leave and come home back to the reality of our little apartment lol! That pool, those palms, that room – wow, the high life indeed Meg! Looks stunning. 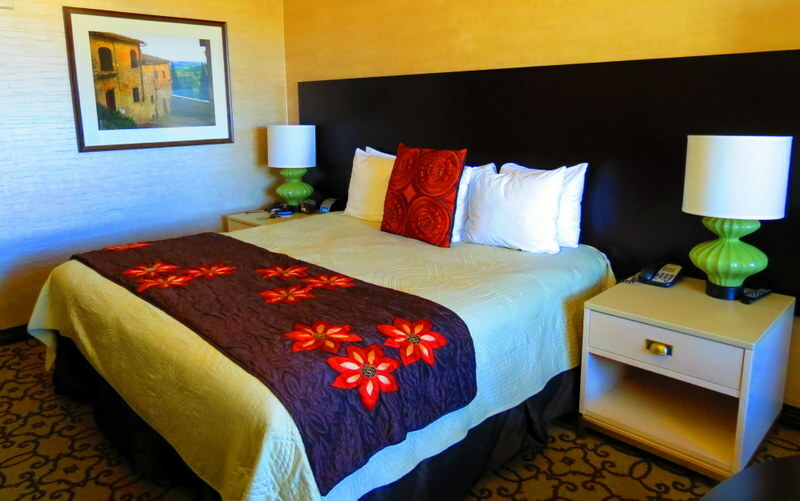 Definitely pay them a visit if you travel through Tucson – it’ll be a hotel experience you’ll never forget! Wow! You did have luxurious accommodations! We will keep Casino del Sol in mind if we vacation in Tucson. We decided to stay in Phoenix simply because it is bigger. But the blue skies and the desert landscapes are the same. I was so glad you came to the area and that we were able to meet! So glad you had a fabulous time at Casino del Sol too Dave! 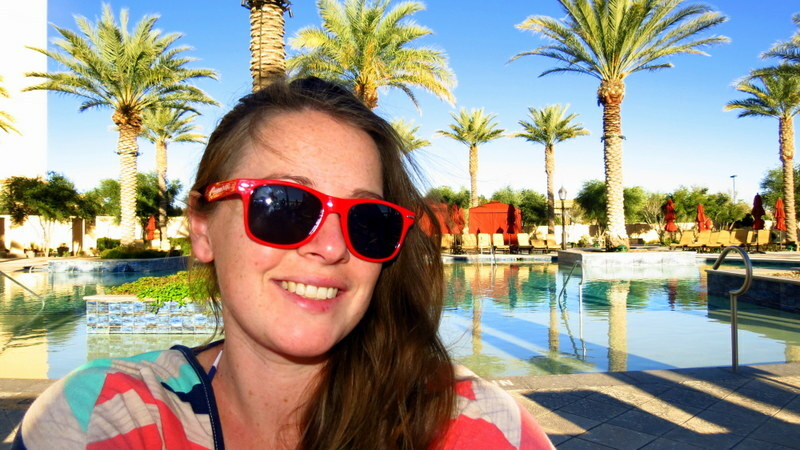 This trip was one of our fondest memories from our time in Arizona. Glad we could bring back some great memories for you!